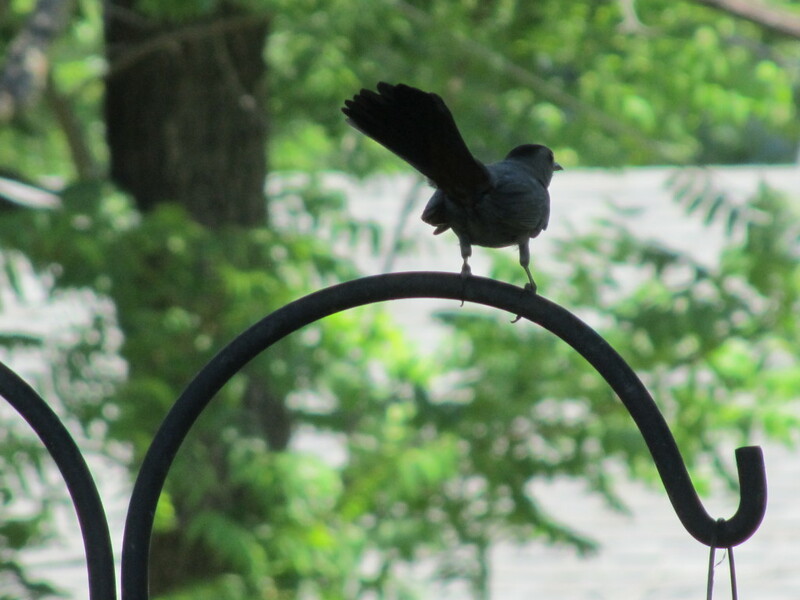 Those of you who know me know that I love to try to capture great photos of birds. You also know that I usually try to work some of my bird photos into Summer Photo Fun at some point. Today is that point this summer. 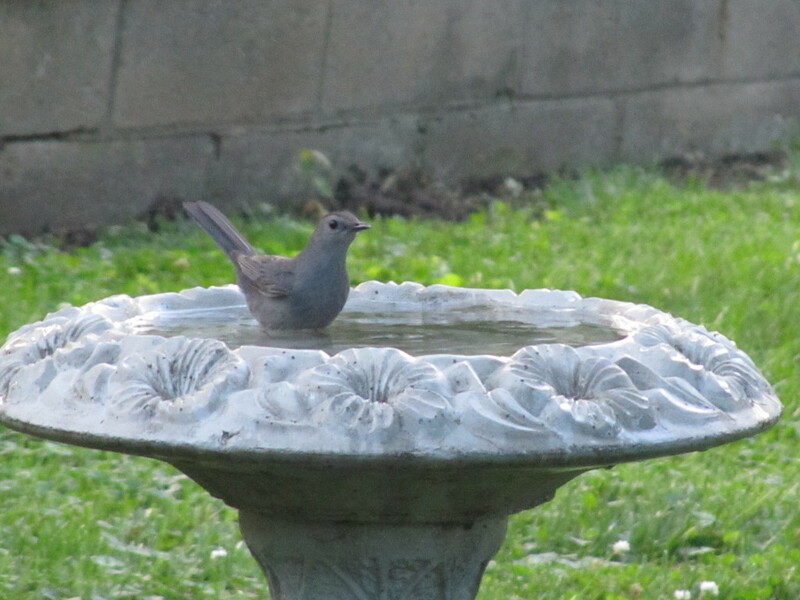 The past couple of months I’ve really been enjoying a pair of Gray Catbirds that are frequenting my backyard feeder and birdbath. Even though they are not super colorful, their sleek gray forms accented by their black caps make them really quite beautiful. I’ve had them visit my yard in past summers, but this year they must be living close by. They are daily visitors. 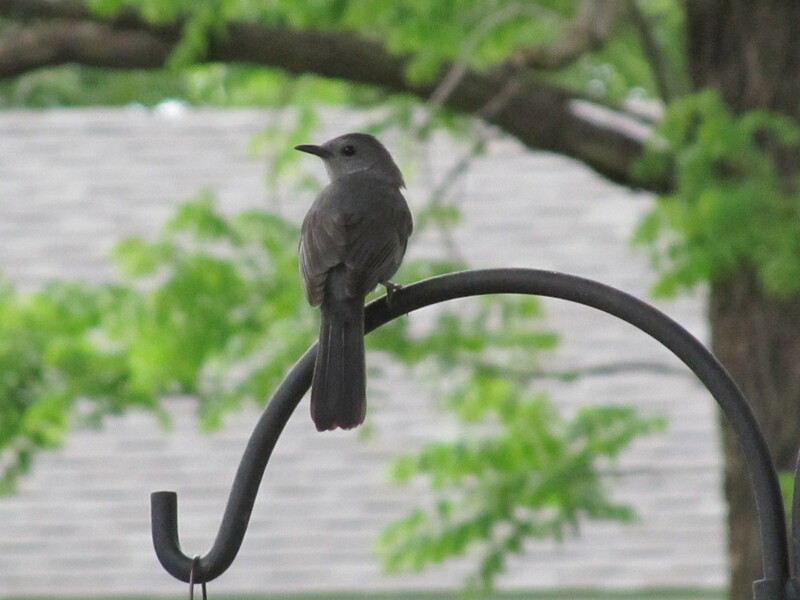 So, friends, allow me to share some of the daily Gray Catbird beauty I’ve been treated to the past couple of months. Hope you enjoy the following shots. And be on the lookout—you may have some of these little guys in your own backyard! That’s right, show us your beautiful back, too! 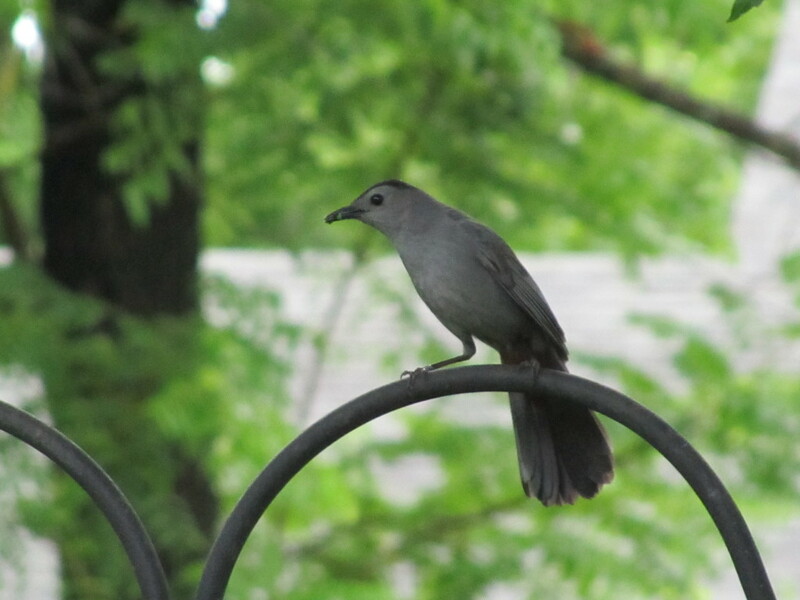 Hope you enjoyed my beautiful Gray Catbirds! 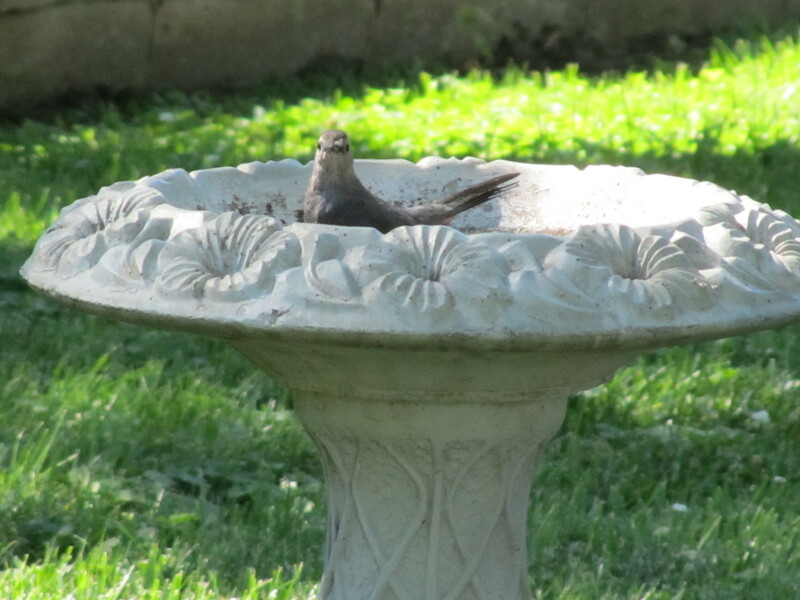 *Do you have a favorite backyard visitor this summer? “Good morning beautiful” – how true and what a magnificent bird. Well done, Cheryl. 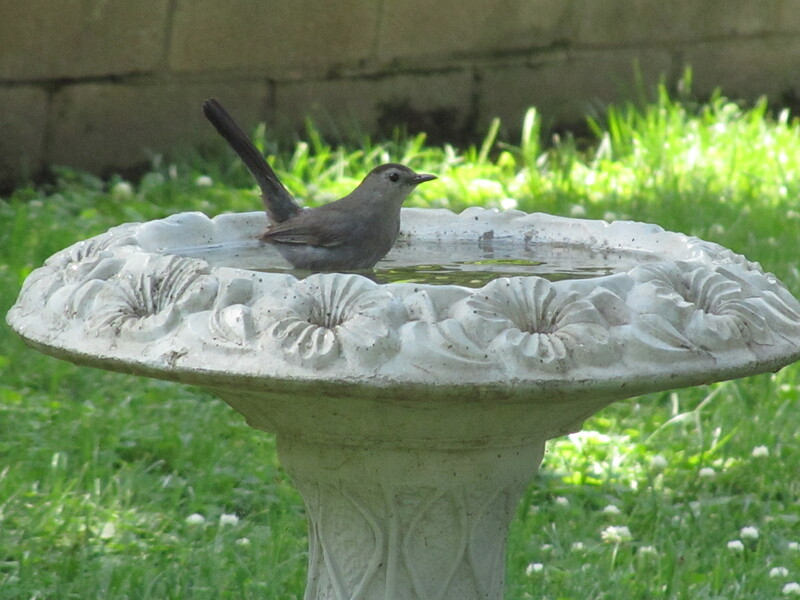 It is so difficult to capture our feathered friends and these shots are wonderful. Thanks so much, Mairéad! Glad you enjoyed! Beautiful. Do you do the photography?